Labor welcomed the proposal, but what it means for tipped workers remains unclear. Labor leaders and progressive economists hailed President Obama’s call, in Tuesday night’s State of the Union address, to increase and index the federal minimum wage. The president said it was “wrong” that a minimum wage salary would leave a family with two children below the federal poverty line, and that “in the wealthiest nation on Earth, no one who works full-time should have to live in poverty…” Washington last raised the federal minimum wage in 2007, when a Democratic Congress passed, and President George Bush signed, a bill raising the rate from $5.15 to $7.25 over the following two years. As Obama noted, nineteen states currently have minimum wage rates higher than the federal level. Obama’s language appears to suggest that his proposal, along with raising the rate (presumably incrementally) to $9, would set the rate to increase automatically when the cost of living does, in order for its real value to remain stable. Temple noted that an increase to $9 would not be sufficient to bring the real, inflation-adjusted value of the minimum wage back to its 1968 level. “We really would need something like $10.50 just to recover the lost historical value of the minimum wage,” said Temple. But Temple said he was not concerned that indexing the wage at a $9 value in current dollars would sap political momentum for further increases above and beyond that rate. “If we pass indexing now” he said, “at the very least the minimum wage isn’t losing value over time.” He described indexing as “conceptually a different piece of this discussion” from whether further increases are necessary. Obama’s speech did not address the minimum wage for tipped workers, which has remained at $2.13 since 1991. In an e-mailed statement, Saru Jayaraman, who co-directs the non-union labor group Restaurant Opportunities Centers United, called Obama’s proposal “wonderful,” but said he “must also call on Congress” to include a raise for tipped workers. 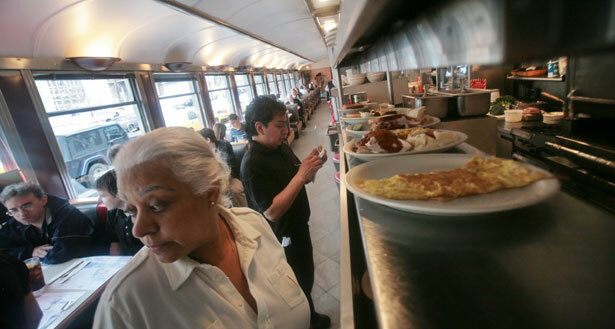 “Then, and only then,” said Jayaraman, “can we ensure that all workers earn a fair day’s pay for a hard day’s work.” Today, ROC members and Congresswoman Donna Edwards will hold a Hill briefing on a bill that would raise the tipped rate to $3.75 within three months. Obama also touted initiatives including comprehensive immigration reform, which the AFL-CIO supports, and completing the Trans-Pacific Partnership trade deal, whose proposed language the AFL-CIO warned last year could threaten labor rights. Read Aura Bogado’s take on what President Obama didn’t say about immigration reform in his State of the Union address.